Provide vocational rehabilitation services to tribal members with disabilities who reside on, or near, the Hannahville reservation. Provide serves that are consistent with the tribal member’s individual strengths, resources, priorities, concerns, abilities, capabilities, and informed choice. Provide encouragement and assistance to tribal members preparing for gainful employment on or off the reservation, which may include self-employment, telecommuting and business ownership. Other federally approved services needed to find and keep a job. 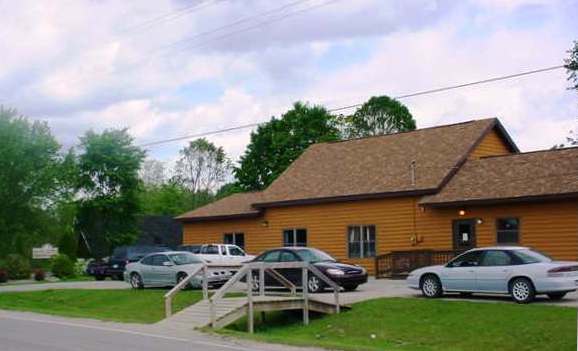 Service provision is coordinated with other agencies and programs, including Michigan Rehabilitation Services, Michigan Works!, Indian Health Services, and other tribal programs. have a desire to work and actively participate toward an employment goal. Dr. Carol Bergquist is the Director of Project Visions. Her duties include providing support, guidance and supervising staff, creating and overseeing the budget and working as part of a team with the vocational counselors for the Visions Program. Dr. Bergquist received her Ph.D. and M.A. degrees from Michigan State University in Rehabilitation Counseling, where she also completed an administrative certification program in Special Education. Dr. Bergquist in a certified special education teacher, vocational evaluator, and special education supervisor. Dr. Bergquist also serves on the Rural Development Council of Michigan, CUPPAD’s Executive Committee, and the St. Francis Hospital’s Community Board. She is also a member of the Michigan Association of Rehabilitation Organization and the Michigan Evaluator’s Association and serves on the Michigan Rehabilitation Council and the National Consortium for Administrators of Native American Rehabilitation. Mia Smith is a Vocational Rehabilitation Counselor for Project Visions. The main objective of her work is to assist tribal members in seeking and maintaining employment while providing numerous services throughout the process. Her services are available to all tribal members with a documented disability living on or near the reservation and those with disabilities from other tribes who reside on our reservation. Mia recently completed her Masters Degree in Rehabilitation Counseling from San Diego State University. She also has a Bachelors Degree in Vocational Education and Associates Degrees in Human Services, Social Work, and Biochemistry. Mia has earned certificates for completing the Oyate Project at Western Washington University, the PET-AIR BVE and PET-AIR program at San Diego State University, Dale Carnegie Courses, and the Delta Force Leadership Program. 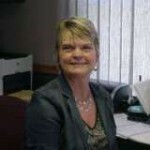 In addition to further education, Mia serves as the 121 Program Representative on the State Independent Living Council (SILC), is a member of the Michigan Association of Rehabilitation Organization (MARO), and is also a member of the Consortia of Administrators for Native American Rehabilitation (CANAR). 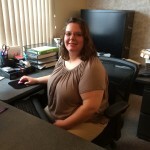 Laura Bermudez is the Rehabilitation & Administrative Assistant for Project Visions. She is also the coordinator of the Work Study Program & GA Redesign. 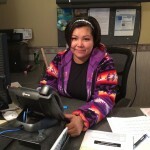 As Administrative Assistant, Laura provides clerical and technical support for the above mentioned grants and programs, provides support in the process of creating short-term strategic plans for the tribe, creates and conducts surveys throughout the community, creates and updates databases. Laura has received an Associates of Business Administration. Kasey Koster is one of the Vocational Rehabilitation Counselors for Project Visions. As a Vocational Rehabilitation Counselor, Kasey assists tribal members with disabilities in preparing for, obtaining, maintaining, or regaining employment. Her services are available to all tribal members with a documented disability living on or near the reservation and those with disabilities from other tribes who reside on our reservation. Kasey has a Master’s Degree in Rehabilitation Counseling from the University of Wisconsin —Stout, a Bachelor’s Degree in Psychology from Northern Michigan University, and is a Certified Rehabilitation Counselor (CRC).